Have you ever wondered what makes a responsive website different or more usable? At 3plains, we get our websites compared a lot with other companies and not all websites are made the same. Websites may "look cool" on the surface when you see it from your laptop, but when you get on a iPad, Android or iPhone, the website will function and breakdown or respond differently. Let's look at a few real world examples and view videos on how the websites actually function and work. 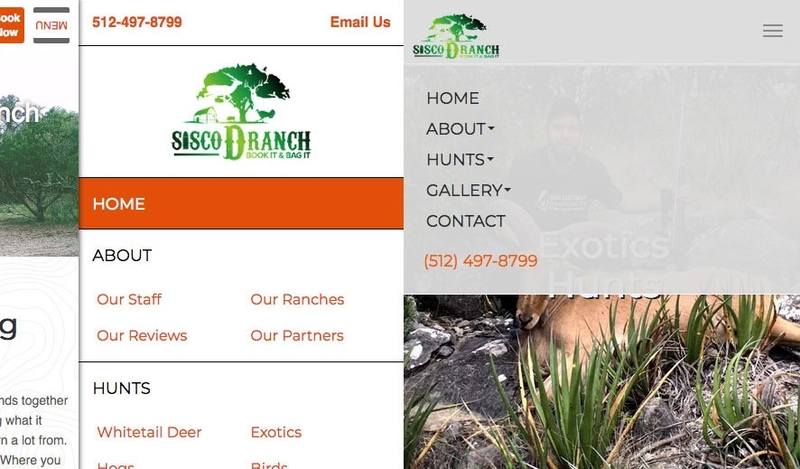 Here is a example of the new mobile menu system on the left 3plains built for a client (Sisco D Ranch) and the old website menu system on the right in grey. You will notice the 3 lines or menu system is not as clear as it should be. A lot of customers are supposed to get it by nature, but I think it should be obvious, as other major news sources throw the 3 lines along with "MENU" text. We also dropped in a book now button along with a direct call button if someone is on a smart phone and want's t call easily. Here is the new mobile menu on the left and the old menu on the right in grey. In the below videos, you can actually click on the websites to watch each menu system work in a real world situation. 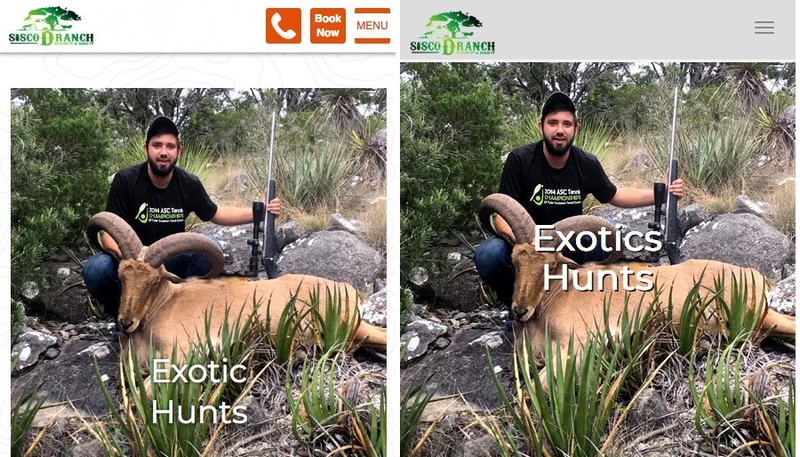 This video shows the slight difference in a website that we changed for the client from mobile menu, to mobile navigation items, to mobile calls to action, etc. Here is another great video on responsive navigation issues and how websites breakdown. One of the website is our customer Oak Stone Outfitters and another website by another website company. Also note, if customers put too many navigational items into a template that was meant for less, so you can recognize common issues in modern web design. Websites these days are more complicated than ever and layout issues are very common, as users and developers are working to bridge the gap.